Have you ever heard the phrase “you can be anything you want to”? As a comic-con convention-goer, I can confirm that that’s exactly how cosplaying at conventions works. Comic Cons happen all over the world! It’s super “geek” fest of fantasy movies and television, comic books, artists, cosplayers (folks who dress up as their favorite characters) and so much more! Chances are you’ll see tons of people dressed as every cool character imaginable. Everyone from Mario to Superhero is going to be there. You’ll probably even run into another Deadpool or two. 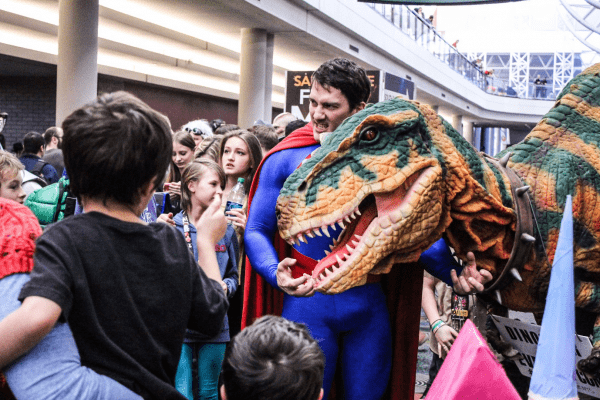 There has been the latest trend in a comic con that there are people dressed in realistic dinosaur costumes and clicking pictures with the visitors. Dinosaurs are unique creatures love by most people especially for kids, although they are extinct. There are a lot of mentions of dinosaurs in many comic books, and dinosaurs being there in comic con adds up to the whole fun of comic con. A realistic dinosaur can always makes the whole crowd excited. Some people are visiting comic con for years, and they come across the same superhero every year, and they are bored of it. Better yet, have you ever imagined that a dinosaur plays as a jedi dueling with another with a lightsaber? The introduction of dinosaurs in the comic con was a revolution. The realistic nature of the dinosaurs has made it a popular thing in comic con. 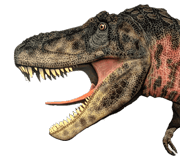 Feel free to take a look through our catalogue and learn more about dinosaur costume! This entry was posted in Dinosaur Attractions, Product Showcase and tagged animatronic dinosaur costume, comic con dinosaur costume, dinosaur costume exhibition, dinosaur costume for sale, lifesize dinosaur costume, realistic dinosaur costume.